This cocktail is long overdue. I created this drink in honor of my friend Chris, who has been a big supporter of my efforts with Viva la Cocktail. She lives just north of San Francisco, so I wanted to create something that would be fitting of her California lifestyle. 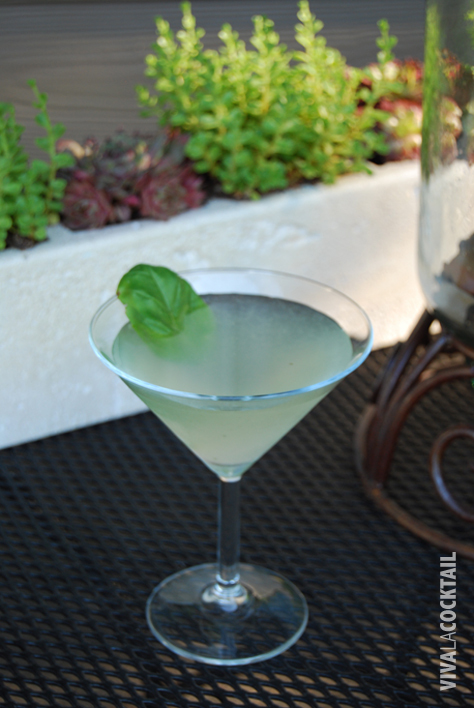 I turned to organic vodka and fresh herbs and started to work around that. I also wanted to create a cocktail that was fitting of her personality—something sophisticated but not too formal. With some trial and error, The Kitchenette was born. While this cocktail does not include everything but the kitchen sink, I did want to add some subtle complexity to the drink. I turned to Bols Genever, which is a unique gin from the pre-prohibition era that has been brought back by Bols. Cut 1/2 lime into 3 wedges. 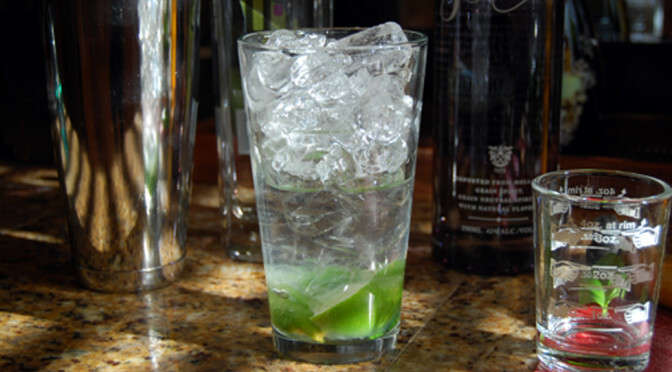 Muddle limes with 3 basil leaves in shaker. Fill shaker with ice. Add the vodka, Genever and simple syrup. Cap the shaker and shake vigorously for 15-20 seconds. Double strain into a 6 oz chilled martini glass. Garnish with a fresh basil leaf.